secured in it. Well apart from this here are some of the other features this app offers. 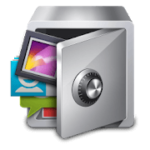 AppLock doesn’t only lock apps but also allows the user to hide any file or app from the app screen if they want to. It systematically sorts the hidden files and arranges them in folders of videos, photos, and apps. The app offers a pro mode which has to be purchased. This pro mode has an Auto-lock, Multi-Lock and Disguise file feature. Users are given an option to keep a Pattern or Pin as the security code. If you are worried about data loss, AppLock also has a backup feature which allows users to keep a backup of their locked files so that it never gets lost. How to Download AppLock v3.0.89?